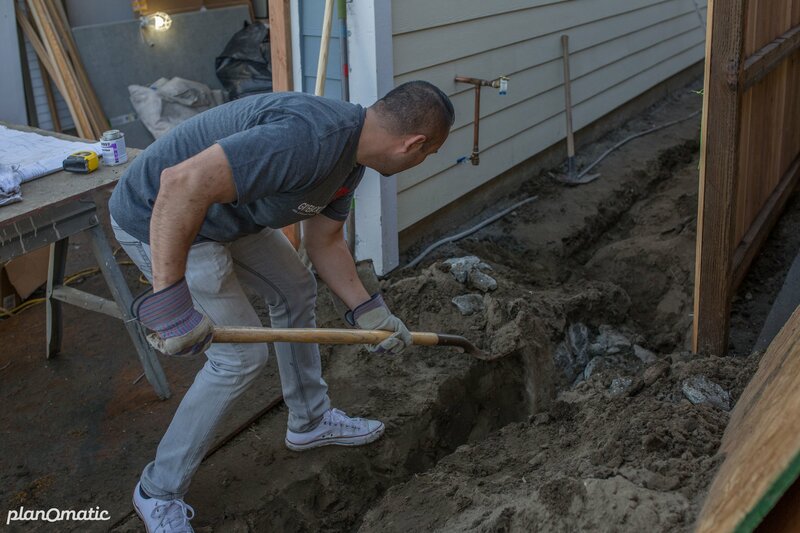 On November 30th, 2018, Giveback Homes Members came together to help Mayra build her future home in Los Angeles. 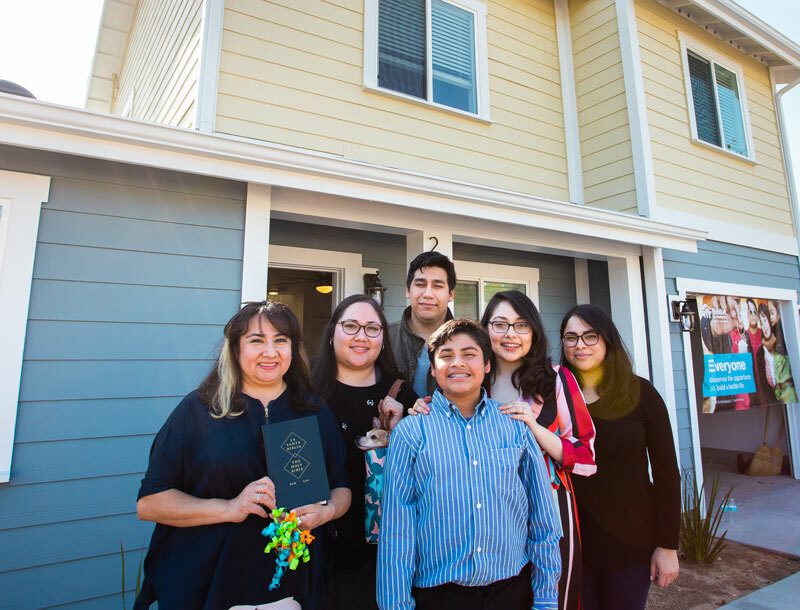 Along with volunteering their time, Giveback Homes Members have been donating portions of their commissions on behalf of their clients to our LA Build Project to help deserving families like the Martinez Gil family achieve homeownership. Mayra and her two children have lived in several challenging conditions over the years, including a cramped, one-bedroom apartments infested with cockroaches, and even a converted garage. These living conditions have made things difficult for her daughter, who has autism, and her son, who is hyperactive and has trouble focusing. 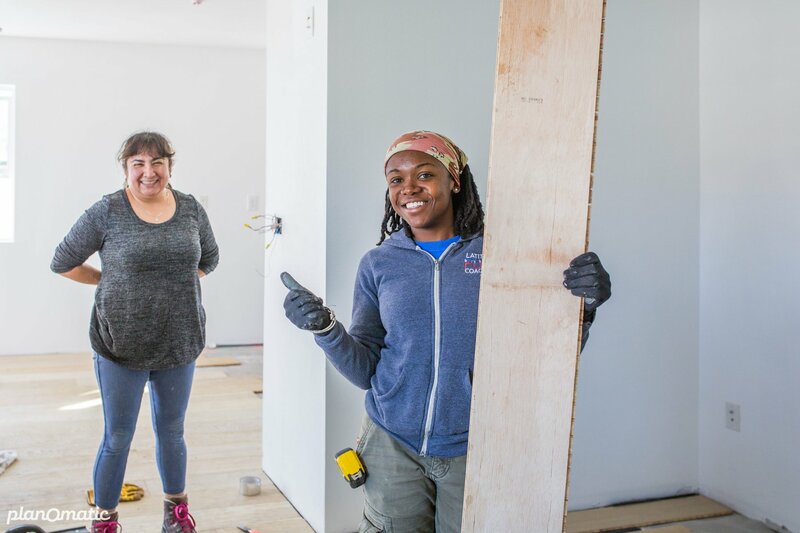 Worried for her family’s health and well-being, Mayra is taking steps towards owning her own home in partnership with Habitat for Humanity of Greater Los Angeles. Mayra works at the USC Galen Center as a custodial supervisor and volunteers at her church. Her daughter, Jacqueline, attends Los Angeles City Community College where she is studying to become an Administrative Assistant. Jacqueline also has a passion for art and enjoys drawing and painting with oil paints and charcoal. Her son, Andrew, attends St. Columbkille School and loves science and swimming. Both children also volunteer for their church helping with fundraising and preparing hygiene kits for individuals experiencing homelessness. 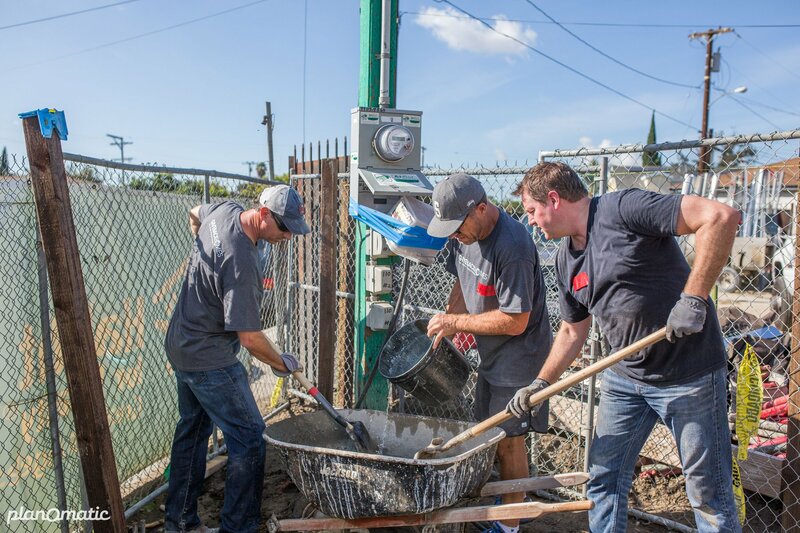 The family has enjoyed working with the Habitat LA staff and volunteers. “I have had such a positive experience. 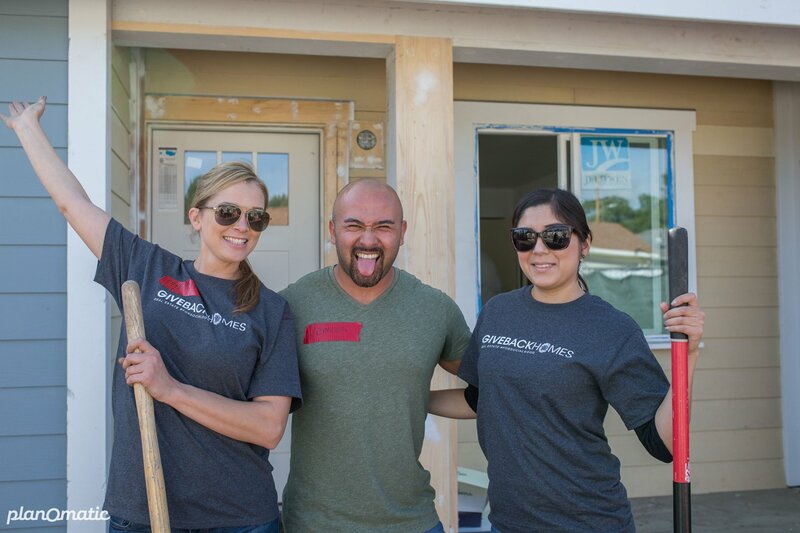 The staff and volunteers are warm and welcoming,” said Mayra. She feels that they genuinely care about her and her family. To Mayra, owning a home means giving “...my children and I the possibility to feel safe and stable.” Her bad experiences with rising rent prices and the sale of homes she was renting in South Los Angeles have contributed to this. 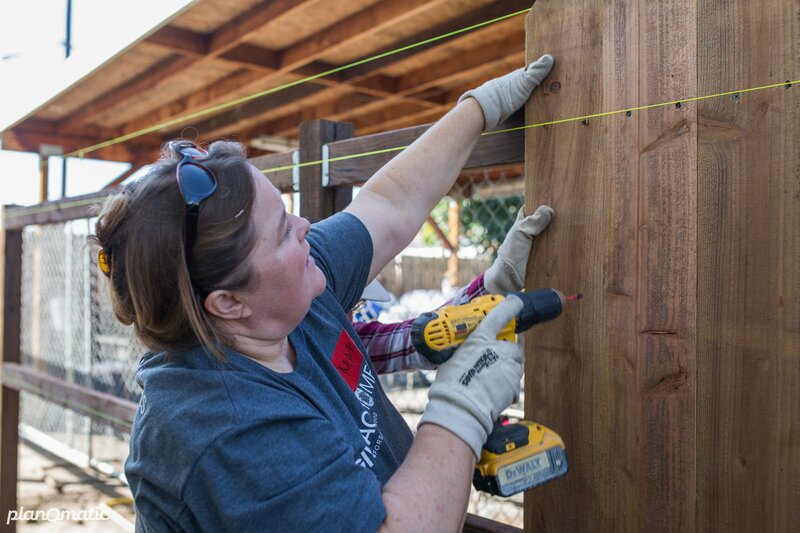 Half of the team helped Mayra lay her flooring inside, while the other half focused on landscape irrigation and fencing outside. 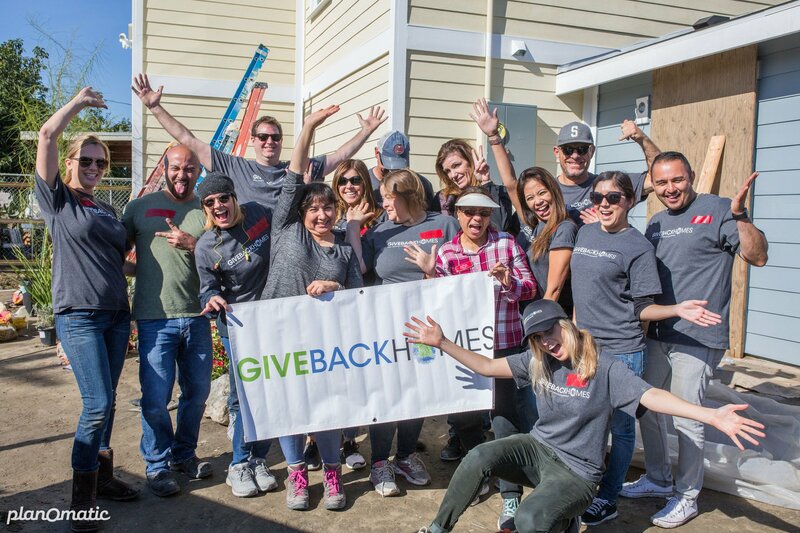 At the end of a long volunteer day, the team celebrated all they accomplished, and Mayra thanked everyone for their time and hard work to help get her home move in ready. As the rest of us packed up to go home, Mayra was off to work her 12-hour shift at USC. Her perseverance to provide for her family was inspiring to us all.